Tiffany Burba is a generous storyteller cursed with a muse that won’t sit still. Her work is more than a simple love story or an homage, though. Her poems are as much a part of her being as perspiration or tears. In Meet Me Where I Left You, the love is real, the hurt is real, the longing, the sadness, the courage, all of it is real. Tangible. “Soup Dumplings” and “Recovery” speak loudest to me, though the exercise of picking favorites from this book is akin to picking favorite waves in the ocean. The honest exposure of needs, desires, and relationships thrown against the bustling backdrop of The Big Apple grabbed my attention. Taste and walk your way through a birthday trip to New York City, through the eyes and heart of a fiercely passionate woman searching for a love that will join souls into one eternal, burning star. The raw energy and pure need revealed in the author’s unveiled prose will sting, searing a striving silhouette of hope between these pages. 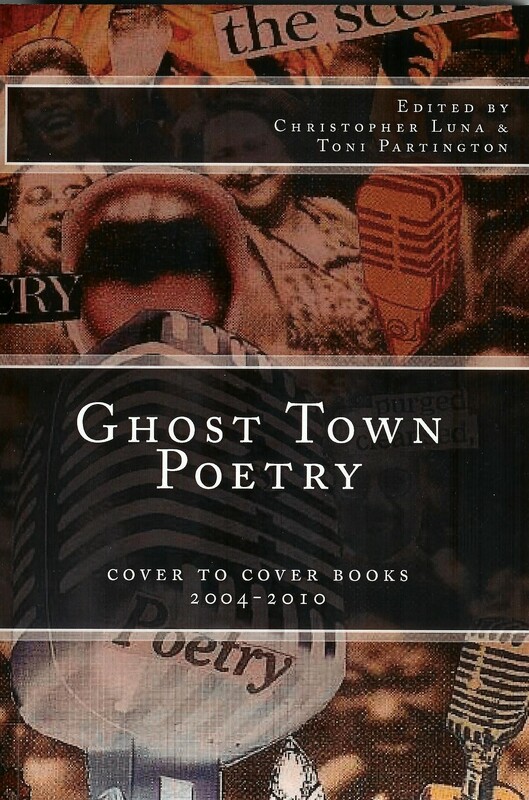 Ghost Town Poetry Volume Two commemorates ten years of open mic poetry in Vancouver, WA. Christopher Luna founded the popular Ghost Town Poetry Open Mic reading series at Ice Cream Renaissance in November 2004. In 2007 the series moved to Cover to Cover Books, and Toni Partington joined Luna as a co-host. In 2011 Luna and Partington co-founded Printed Matter Vancouver, an editing service and small press which previously published Ghost Town Poetry, which includes poets from the first six years of the series, and Serenity in the Brutal Garden, the debut collection by Vancouver poet Jenney Pauer. 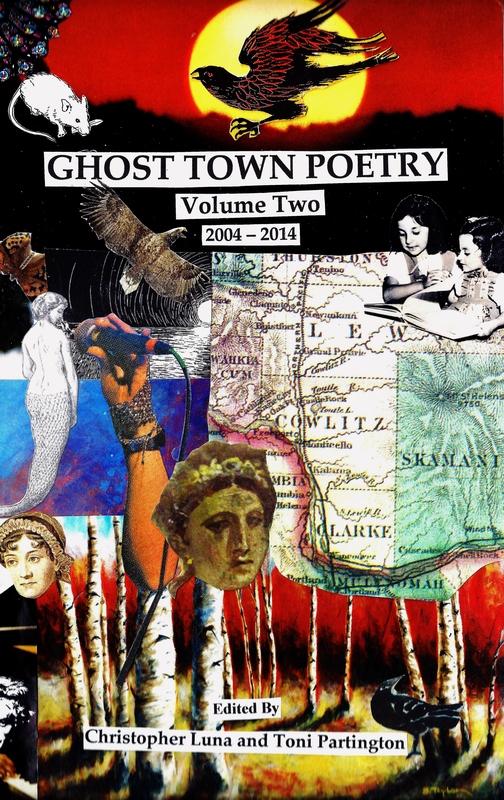 Like its namesake, Ghost Town Poetry Volume Two is “all ages and uncensored.” The anthology includes poems from the following local and national authors, each of whom has read at the Ghost Town Poetry Open Mic: Judith Arcana, Elizabeth Archers, Lana Ayers, Melinda Bell, Kristin Berger, April Bullard, Tiffany Burba-Schramm, Sheryl Clough, Ed Coletti, Joyce Colson, Brittney Corrigan, Michael Daley, Eileen Davis Elliott, Kathleen Flenniken, Daniel Gilchrist, Rob Gourley, Johnna Gurgel, Miles Hewitt, David Hill, Rainy Knight, Christi Krug, Jake Loranger, Lori Loranger, Zoe Loranger, Jack Lorts, Peter Ludwin, Christopher Luna, M, David Madgalene, Dryas Martin, Jim Martin, Doug Marx, David Matthews, Dennis McBride, Jack McCarthy, Mike G, A. Molotkov, Russell Monroe, Angeline Nguyen, Maggie O’Mara, Toni Partington, Jenney Pauer, Jennifer Pratt-Walter, Sidra Grace Quinn, Dan Raphael, Carlos Reyes, Kristin Roedell, Michael Rothenberg, Ralph Salisbury, Katharine Salzmann, Raul Sanchez, Mary Slocum, Gerard Donnelly Smith, Leah Stenson, Meredith Stewart, George Thomas, Nathan Tompkins, Grace Valentine, Ric Vrana, Julene Weaver, Ingrid Wendt, Steve Williams, John Sibley Williams, Sally Wong, Carolyne Wright, and Louise Wynn. Edited by Printed Matter Vancouver co-founders and current series co-hosts Christopher Luna and Toni Partington, Ghost Town Poetry contains poems that were read at the open mic as well as new work. It also features cover art and a history of the series by Christopher Luna as well as a chronology of the featured readers who have traveled from around the country and the Northwest to share their work. Jenney Pauer is a graduate of Southern Methodist University, where she studied theater and English literature. After serving four years in the United States Army as a Korean linguist, she obtained a Secondary English Education degree from the University of Wisconsin-Madison. Before moving to the Pacific Northwest with her dog and cat in 2008, she taught high school English along the border of Arizona and Mexico. Recently, Jenney co-wrote a short film, Nico’s Sampaguita, accepted into the 27th Annual Asian Pacific Film Festival in Los Angeles, and soon to be released by Sacred Fire Films in San Francisco, California. 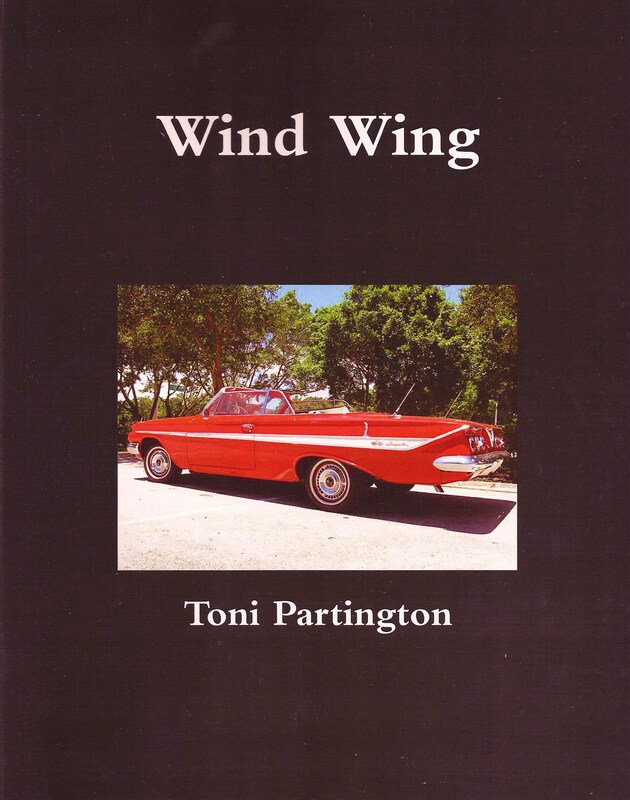 WIND WING is a collection of poetry inspired by the lives of women. The poems provide a glimpse into life on the edge of mental illness, transition and discovery. 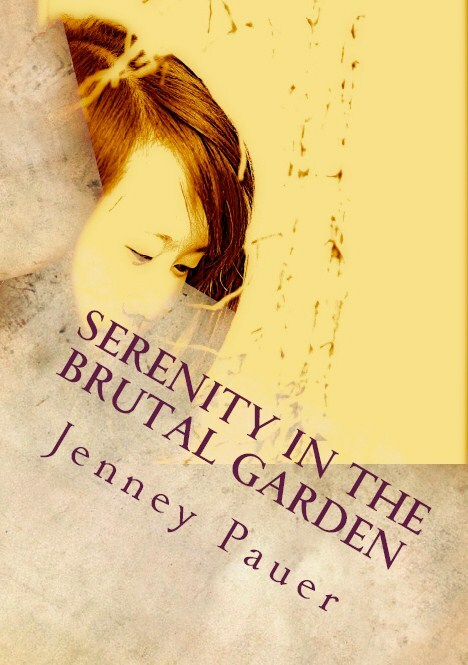 In three chapters, the poems expose the life of an only child with a mentally ill mother, the transitions of life, love and loss, and the societal and personal observations that lead to self discovery. Partington wrote the book over the past ten years as a way to reveal the stigma associated with mental illness and its impact on families. The poems in Brutal Glints of Moonlight were created using material found in Norman Mailer’s 1980 Pulitzer Prize-winning novel The Executioner’s Song. Luna was among 85 writers who remixed one of the Pulitzer Prize winning novels in April 2013 at the request of Found Poetry Review. Brutal Glints of Moonlight is available from the author: christopherjluna@gmail.com. In 2003, New Yorker Christopher found himself in Vancouver, WA, wondering how he got there and missing home. He began collecting his observations of his new home in a notebook that became Ghost Town, USA, a diaristic investigative poem about the city often written in real time while walking around town or taking public transportation. 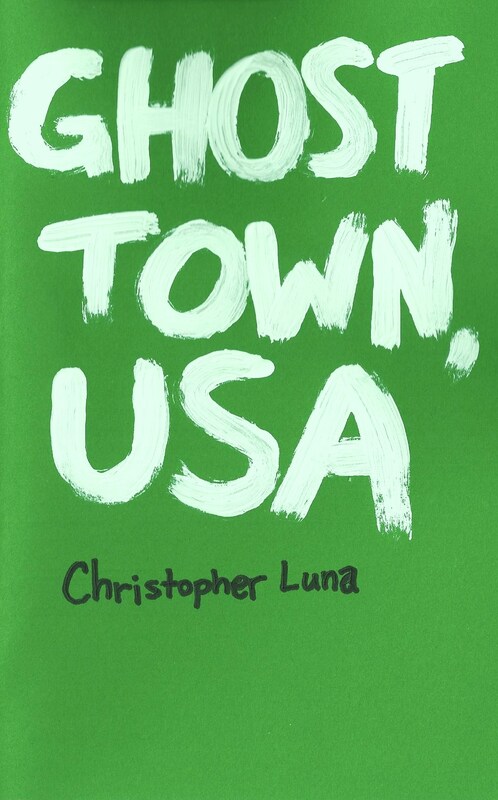 This 72-page chapbook represents the first seven years of Luna’s adventures in Vancouver, the place he nicknamed Ghost Town because one can often walk through town in the middle of the day and not see a single person on the street. Luna incorporates humor, social commentary, and overheard conversation into his attempt to capture snapshots of day-to-day life in this suburb just across the bridge from Portland, OR.